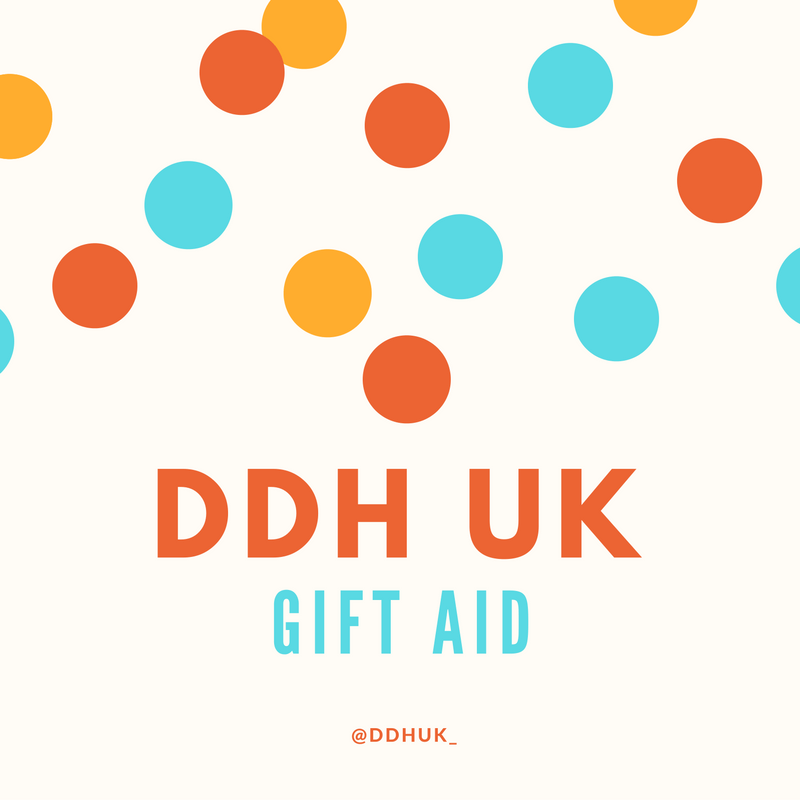 If you are donating to DDH UK, we would like you to know about Gift Aid. Gift Aid allows DDH UK to claim an extra 25% on donations. If you are a taxpayer and donate £10 then it is worth £12.50 to us. So as well as making your donation worth 25% more, Gift Aid helps us to provide 25% more support. Gift Aid is a really easy way to make your donation go further. Gift Aid doesn’t cost you, or us, a penny either! We claim a refund on tax that you have already paid. We need to raise over £5,000 this year so we can apply for our charity commission number. We then need to carry on raising money year on year so we can continue to support patients and their families as well as working with medics and raising awareness of DHH . If you would like any further information on Gift Aid, please call 01977 708868.